Another Redstone 2 build information leaked online. 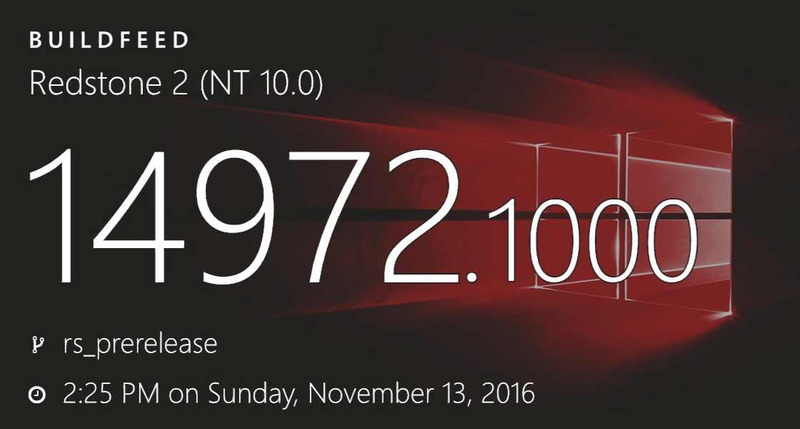 Insider team is now testing Windows 10 Creators Update PC Build 14972 and mobile build 10.0.14972.1000. The builds were compiled on November 13, 2016.